After I wrote the Bloxinies I started 'beefing' up the capabilities. I exchanged the CGA-graphics in favour of VGA-graphics. This allows more colors and features like paging. Bloxinies II uses a .PCX file to load the graphics and it's easier to work with sprites because information about mode 13h VGA graphics is still widely available. 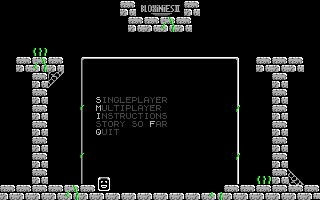 Another feature is multi-player and a level-editor. 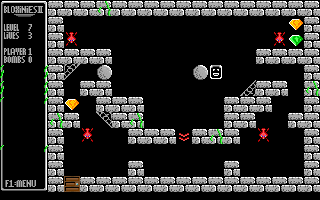 You can now wander through the levels with two players on one computer and create your own levels in the same way you play the game. It's no longer neccesary to modify text-files to create new levels. Download Bloxinies II here. 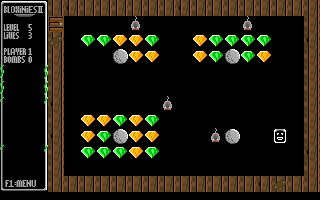 The ZIP-file includes the full game with the source code. Inside the .ZIP file you'll find a README.TXT explaining all the bits and bytes around Bloxinies II. 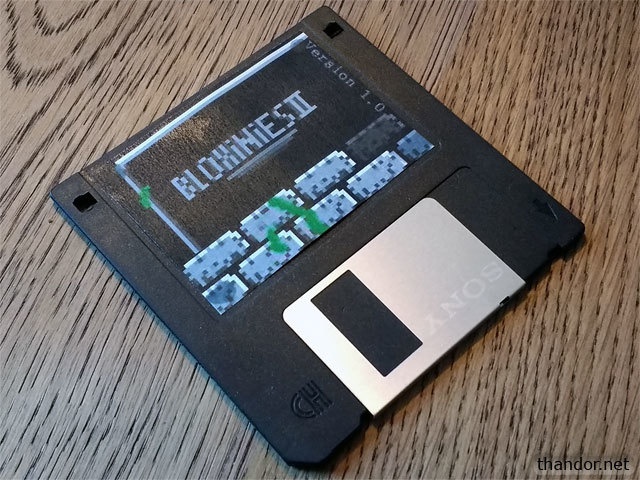 The .ZIP file even contains the levels from the first Bloxinies, but converted to work with Bloxinies II. How to run this game on a modern PC? 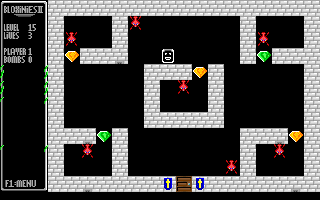 The game is programmed in Turbo Pascal 7 for DOS. I have included the source code for those who want to know how the magic is done or want to change things. The source code includes some comments to help you understand the idea. If you have ideas to optimize the game, let me know! Want your own account? Create one, it's free! Is my AGP 2x/4x card 3,3V or 1,5V? Windows Vista stuck on 'Configuring Updates Stage 3 of 3 - 0% completed'?